We wanted to make a plastic sticker, fridge magnet, keychain and earrings, but we couldn't do all of that, so we let it on you. 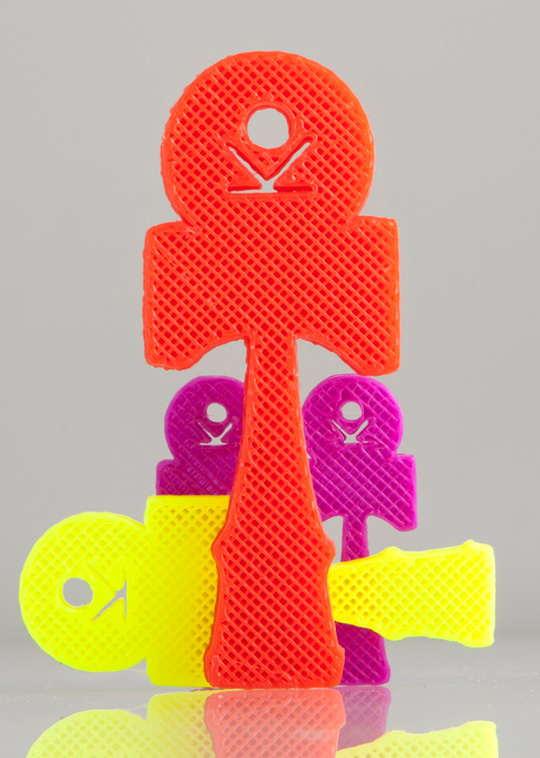 Kendaminkas are four plastic 3D prints. Two small so you can make two earrings. One medium to glue it. And one big to be used as a necklace or keychain. But it is totally up to you how will you use it. If you came up with some new way how to use kendaminkas feel free and email us. We can print you kendaminkas in the color of your choice. Available colors are: Neutral/uncolored PLA, blue, light blue, black, orange, white, red, green, nuclear green, yellow, gold, siver, purple. Let us know in the orders’s note.